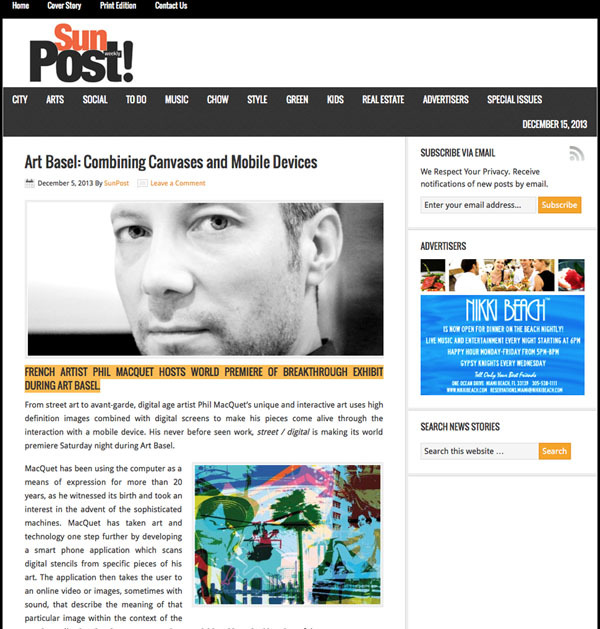 French artist Phil Macquet hosts world premiere of breakthrough exhibit during art basel. From street art to avant-garde, digital age artist Phil MacQuet’s unique and interactive art uses high definition images combined with digital screens to make his pieces come alive through the interaction with a mobile device. His never before seen work, street / digital is making its world premiere Saturday night during Art Basel.